To be blunt, this game is weird. There are things here that could make it a fun little .99 game, but there are things that hold it back from being a good game. I will get to the bad first. There just are not enough levels. Period. 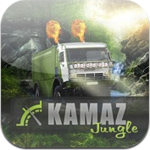 Kamaz Jungle only comes with nine levels and they can be completed relatively quickly. I beat the whole game within 30 minutes once I figured out how to get past the blocky terrain, more on that later. I beat each level with an average time of about 17 seconds which is way to quick for only nine levels of gameplay. Now, say if it was like Angry Birds and there were a ton of levels that got increasingly difficult then this would be a much better game. 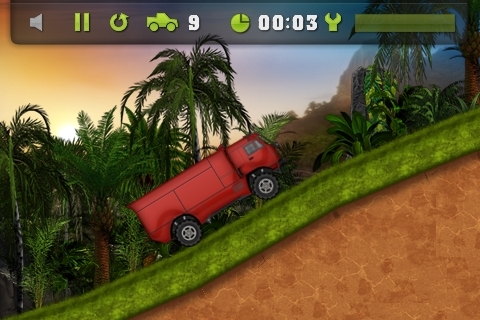 Another bad thing about this game is the grass/terrain the truck travels on. It seems as though the designer made the game with only rectangles and placed them at certain angles to give the effect of rolling hills and such. Now normally this would not be a problem, but there were ditches all along some levels that were impossible to get out of just because they were shaped like boxes. 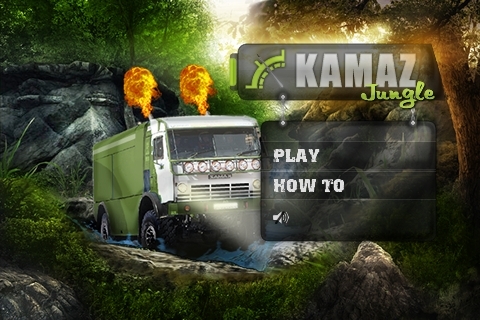 I would think that if the levels were smoother it would make the game more enjoyable and less frustrating because the truck won’t get caught on the environment. The sound is a bland beat that is on a loop, but can always be turned off or supplemented with your own music. The controls are kind of a mixed bag, one side of the screen is for forward and the other for backward which works very well; while tilting the device is supposed to tilt the truck which I found did not work right at all. Now on to the good of the game. 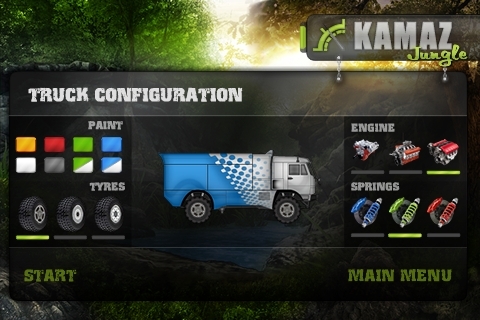 The ability to customize your truck adds that specific touch that says “This truck is mine!” and it goes along great with the background images and lush colors of the game. What is good about this game is potential. This game has the potential to be a good app if a few things were added like leaderboards through Gamecenter, along with a ton more levels to play through. In the end, there is just not enough here to justify the price tag, even at .99.